Winton Castle in East Lothian near Edinburgh has launched one of the most challenging, off-road, 4 x 4 courses in south-east Scotland. With its steep, slippery climbs, water hazards and log obstacles, the circuit was originally designed by Jeep in 2015 for the successful UK media launch of the Jeep Renegade. Winton Castle’s off-road course is now bigger and more challenging. The 4 x 4 experience experts, Far X Four, have tripled the size of the course and added lots of new obstacles. 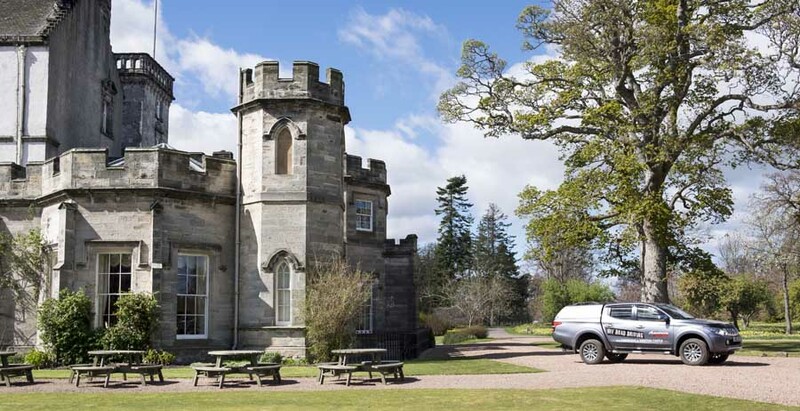 As an exclusive use events venue, Winton Castle has hosted vehicle launches and distributor conferences for leading brands, ranging from Honda to Jeep. Its popularity is partly down to the countryside setting and proximity to the motorway network and Edinburgh. Winton’s off-road course’s new challenges include ramps, rollers to test drive systems, ditches to cross, axle-twisters, winch challenges and a range of mud and gravel terrains to traverse. 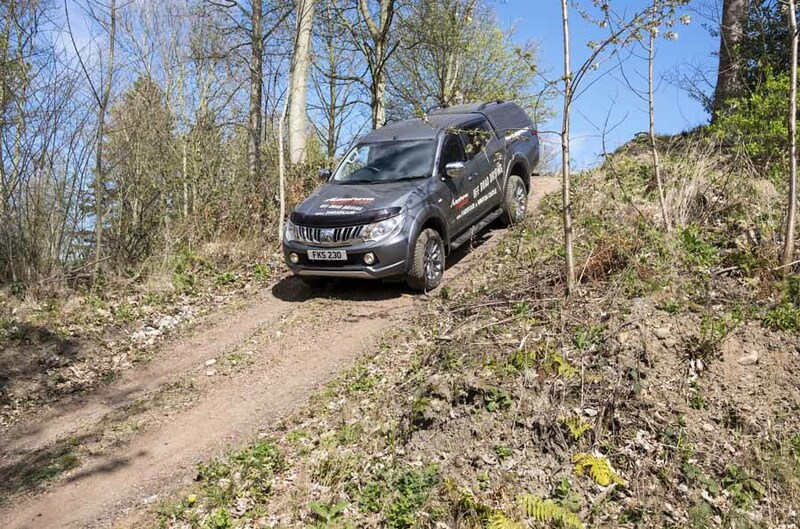 Adam Purves Mitsubishi from Galashiels has provided a new Mitsubishi L200 Pick-up truck for driving round the off-road Winton Castle circuit to demonstrate its capabilities to new off-road drivers. It’s also available for certified driver training, corporate and private off-road driving experiences, and as part of more leisurely safari experiences through Winton Estate. “We have set up different obstacles and terrains to suit lots of abilities,” says Hugh Roberts at Far X Four, who is also a British Off Road Driving Association (BORDA) instructor. “The ‘off-road experience’ is for beginners or someone who is thinking of buying a Mitsubishi 4×4. The two hour course starts with a briefing session on the Mitsubishi L200 and its technical capabilities, followed by a demonstration. Far X Four also offer new owner experiences to ensure that drivers understand the vehicle’s transmission, traction control and ground clearances. This session is tailored to individuals’ requirements and their driving needs. For more information on Winton Castle’s 4 x 4 driving experience, contact Adam Purves Mitsubishi, Far X Four or Winton Castle, or call Winton on 01875 340222.